Semester in Spain. Spanish Language & Culture. University of Leon. Spring Trimester. Three-month long Spanish Language & Culture courses at the Universidad de Leon. Each trimester course consists of 200 contact hours. The Spanish course levels offered are beginner, intermediate, advanced, and superior. Students study Spanish grammary, Spanish conversation, Spanish writing and Spanish culture. Activities are included in the Spanish program. Tution – € 1,300 / $ 1,461.85 * per semester. The fee includes tuition for the trimester as well as course materials and cultural activities. Housing – € 200 / $ 224.90 * per mo. Accommodation in a shared student apartment costs € 200 per month. Homestays and university residence halls are also available. Accommodation in a Spanish host family costs € 750 / $ 843.38 * per mo. (€ 25 per day). Spanish courses are held mornings to early afternoon, with a half and hour break. There are 20 Spanish classes per week. All courses include classes in Spanish grammar and vocabulary, Oral Communication, Written Communication, Culture. Intermediate students can also take Introduction to Literature and Culture & Civilization. Advanced students have additional options, including Spanish Art, Spain’s Contemporary Culture, Spanish American Literature, and Great Works of Literature in Spanish. Twenty hours of classes per week. Certificate of completion of the course. Access to the library and study area, and to the computer lab. Wi-Fi access in the Language Centre. Visit to the eleventh-century Basilica of Saint Isidore [San Isidoro]. Visit to the thirteenth-century Cathedral. Visit to the sixteenth-century pilgrim hostel of Saint Mark [San Marcos] or to MUSAC, the Museum of Contemporary Art of Castile and León. Visit to the León Museum. A full-day excursion to a destination outside the Province of León. A full-day excursion to a destination in the Province of León. Host Families: full board in a single room (includes washing and ironing). Cost: €25 per day. 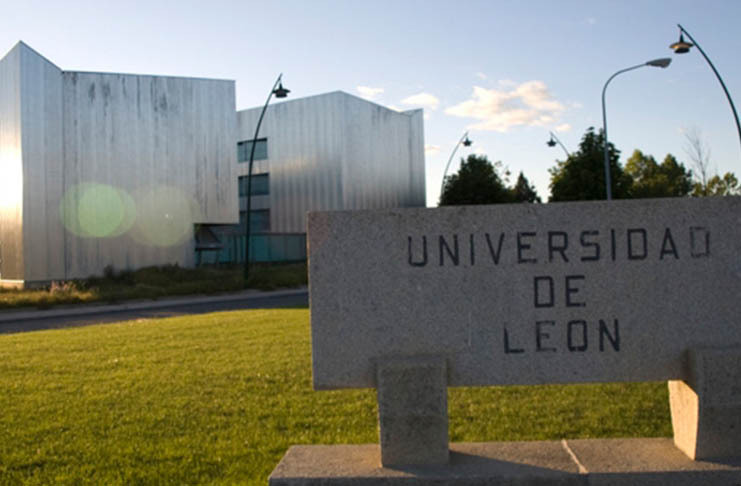 The Language Centre has an extensive database of host families in León which have been specially selected to host foreign students. Shared Flats (available only for full-time and long-term students): shared accommodation with other Spanish or foreign students. Prices vary from 120€ to 200€ per month per person, depending on the location and condition of the apartment. Gas, electricity, central heating and water bills are not included. The “University Housing Program” is a free service which offers advice and useful up-to-date information on available accommodation for rent in the city. The minimum age required to sign up is 18. There is no minimum required GPA. Recommendation letters are not required. Payments must be made in euro by bank transfer to the Centro de Idiomas bank account. All bank charges must be paid by the student. The bank transfer or a copy of the transfer details must show the student’s full name and passport number, quoting the reference “Spanish Courses”. Students must pay course fees in full in advance of the commencement of the course. A scanned Passport size photograph with a white background. A valid proof of payment of 30% of the total full course fee (either a copy of the transfer or the original bank deposit slip). That amount will be deducted from the full course fees. Course fees (the first term’s fees plus tuition fees) must be paid pay in full in advance of the commencement of the course. A copy of the student’s Medical Insurance. Course fees do not include medical assistance; therefore private insurance to cover medical care should be arranged for non-EU foreign students. EU students need to bring with them an official duly completed Form E-111/ E-128, which will entitle them to free medical assistance under the Spanish public health system. Spanish Language & Culture. Summer Study Abroad in Spain. University of Oviedo. Summer Session II. Business Spanish Course. Universidad de Valladolid. Summer Session. Previous Post: Semester in Granada. Hispanic Studies at the University of Granada. Fall Semester. Next Post: Semester in Seville. University Integration Program. Universidad Pablo de Olavide. Spring Semester.